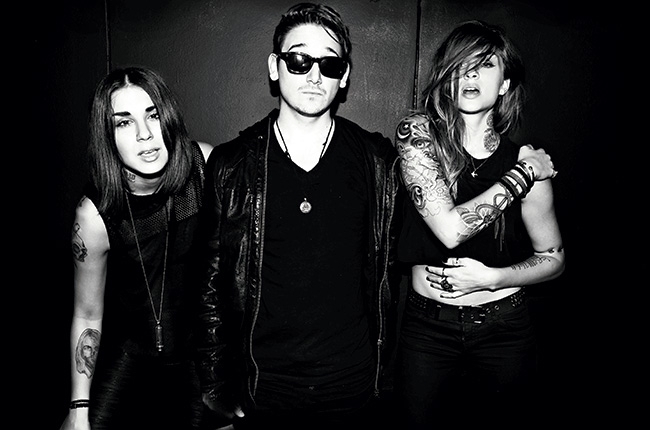 A few months ago the internet exploded with the alarming news of Krewella‘s third member Kristopher ‘Rain man’ Trindl allegedly being kicked out of the crew due to depressive symptoms and rehab stints. However later he claimed that he was forced to leave the group and immediately he filed a $5mil lawsuit against the duo. But what was the truth? On Tuesday (September 30th, news broke about a lawsuit filed by former Krewella producer/DJ Kris trindl against his ex-bandmates, sisters Jahan and Jasmine Yousaf. Trindl seeks at least $5 million in damages for allegedly being kicked out of the EDM group unfairly. On Wednesday (Oct. 1), the Yousafs responded to the allegations. This what their respective tumblr said. He missed a flight to Mexico City this past March to perform at the Ultra Miami. Thereafter, Trindl says he was ushered into a living room at Udell’s home for a meeting led by an “interventionist,” where others told him to go into rehab. I personally think it would be unfair to choose sides right now. As we can clearly suspect that all the three members and the entire krew is going through a terrible time. Financial gains or not they will definitely experience loss due to the absence of Rain man. We hope that the trio emerges out of this crisis even stronger and continue to blow our minds with their sick songs.